10 LB Block Ice - (~5.5"X5.5"X10") FROZEN SOLID, NOT PRESSED! 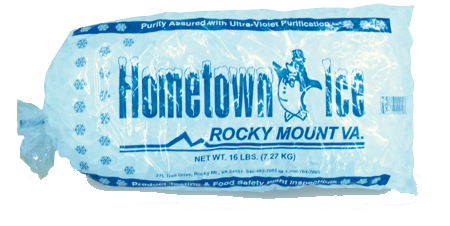 GREAT FOR SNOW CONE MAKERS AND THEY LAST A LOT LONGER FOR THOSE EXTENDED TRIPS! With our fleet of trucks, we deliver quality bagged and block ice when you need it and where you need it! We deliver quality ice products and services to convenience stores, construction companies, businesses, restaurants and special events. Whatever your needs may be, rest assured that Blue Ridge Ice is the right partner for your organization. "Big" events—Not a problem. Just let us know in advance and we can keep you supplied with ice. Stay cool with Blue Ridge Ice!